Spandau: now a district of Berlin, town rights were given to Spandau in 1232 by the Ascanians. In a well-connected location at the confluence of the Spree and Havel Rivers, Spandau was in competition with Berlin for a long time and right up to the present day, continues to assert its independence. In the 16th Century, the area was developed as a fortress and garrison town (citadel and numerous barracks). In 1920, Spandau became part of the greater Berlin. 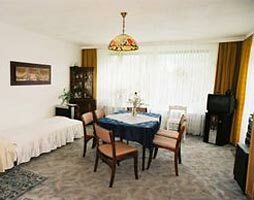 Staaken: The first record of the village was in 1273 and has belonged to the city of Spandau since 1292. 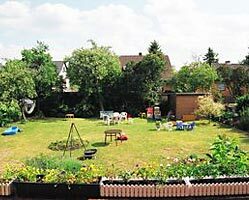 Due to the division of Germany, the western part of the village belonged to the GDR after WWII. 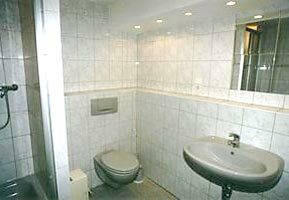 Quiet location and reasonable price in the outskirts of Berlin. No problem with parking. 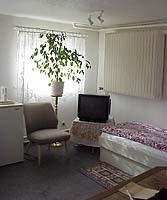 The guest house has several bedrooms and bathrooms. 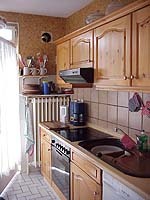 There is a kitchen for common use and a terrace. 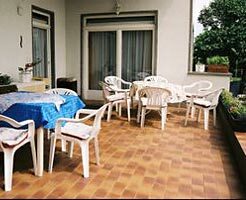 Its ideally for large groups of up to 16 guests. 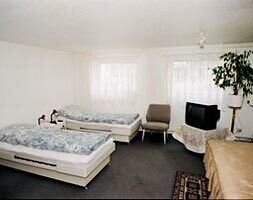 Single travellers and couples are, of course, also welcome. 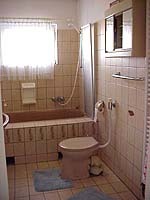 Bathrooms are shared between 1-4 bedrooms. 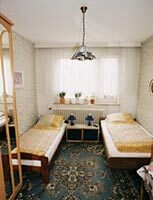 Just one night: extra charge of 3 euros per person. 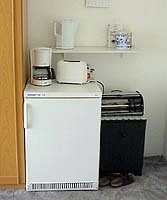 The rooms are simply furnished, with single beds, refrigerator, coffee maker and TV. From the western Berliner Ring Autobahn, take exit 26 - Berlin - Spandau to Berlin city entrance sign. Then travel 3.4 kilometers straight ahead, then turn left into Magistratsweg for 900 metres, then left again. The house is on the left.